PASAY CITY – It all begins here, in a place where eager and steadfast hearts burning with fervor and pride for their own schools gather in anticipation for yet another monumental season. 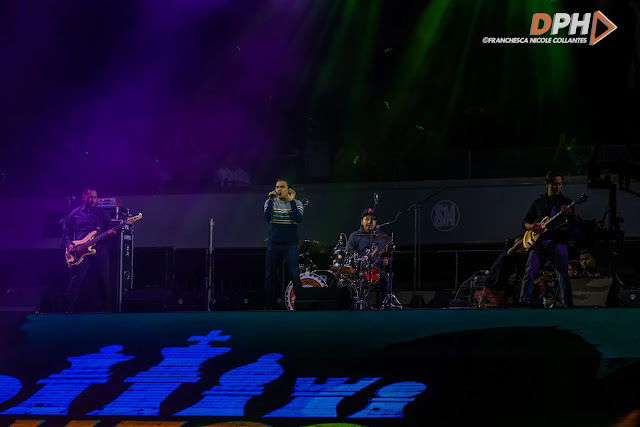 You could tell right from the start that this year’s UAAP host school, National University, did not and would not hold back from giving us perhaps one of the grandest seasons to ever go down in the league’s history. Upfront’s host Janeena Chan welcomed the crowd into yet another exciting season of the UAAP on September 8 at the Mall of Asia Arena. Her enthusiastic calls to the audience regarding this season’s promise of giving only the best of the best were followed by an invocation led by NU Bulldogs’ shooting forward Dave Ildefonso and the NU Chorale. Afterwards, one of the National University’s sources of pride and joy, the NU Pep Squad, joined the NU Chorale on the floor to enthuse everyone with a thrilling number. National University’s president RJ Ermita then delivered his opening speech to officially inaugurate the season in good spirits. 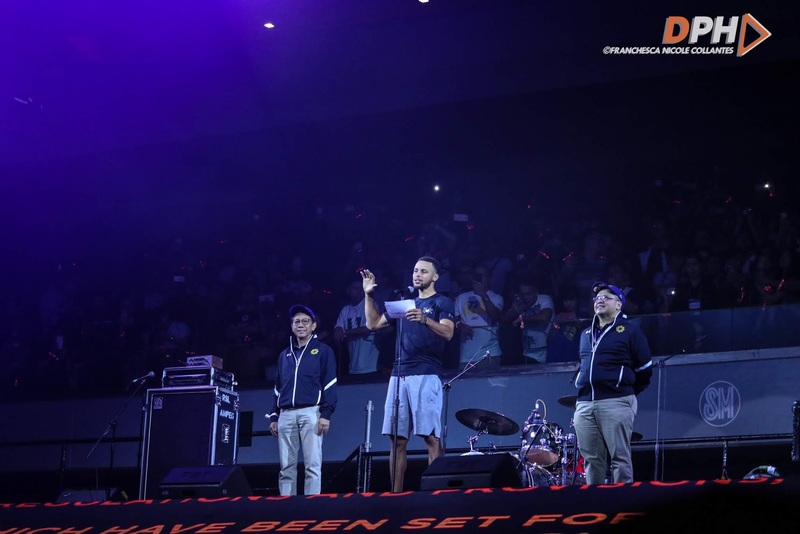 “In Season 80, we strove for greatness – but the struggle for greatness never ends,” he said - and thus, we have the 81st season of the UAAP, which vows to be yet another beginning of a journey to greatness. OPM band Spongecola rocked the commencement of performances and received roaring cheers from the crowd. The NU Pep Squad and dance crew Underdawgz also took the floor with a scintillating dance number to complement Spongecola’s dynamic numbers. The band’s electrifying performance was followed by the introduction of this year’s roster of players from each university. 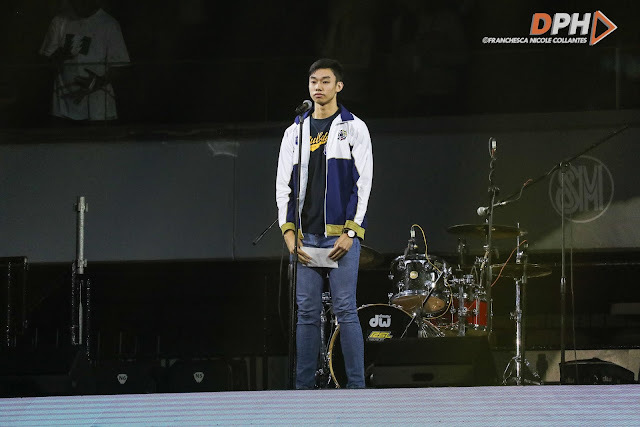 Athletes from different sports filled the center stage, sporting their own school colors with pride and honor and ready to take their oaths and swear on giving only their best for the arriving UAAP season. The audience was sent into a state of frenzy as Stephen Curry himself appeared on the stage to lead the oath taking himself. 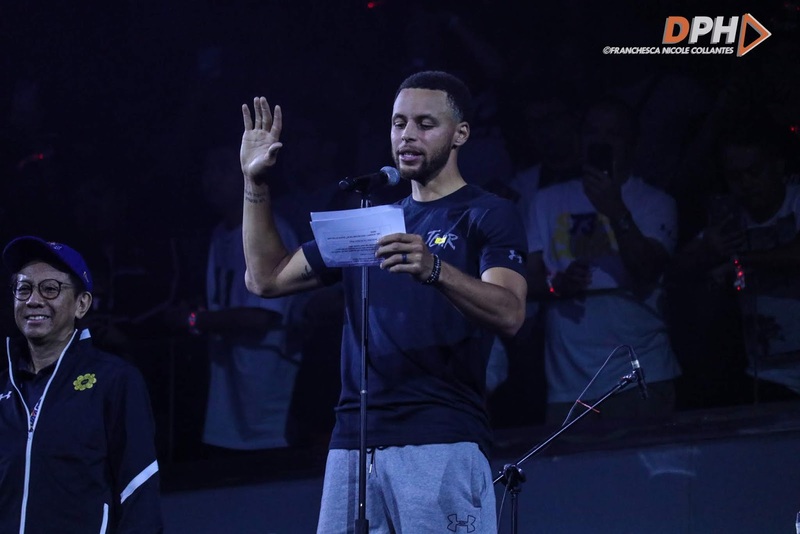 The audience and the athletes alike were excited to witness Curry deliver the sportsmanship oath together with some of the country’s most promising names in the collegiate level. 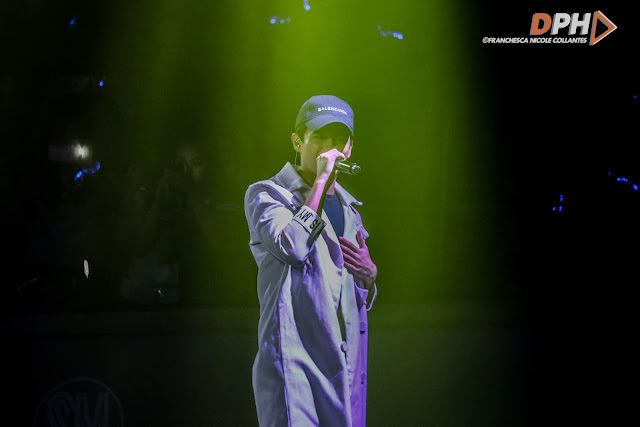 The basketball superstar motivated the crowd’s exuberance moreover when he took videos with fans on the upper box section before he made his exit. However, just like UAAP’s continuous strive for greatness, the fun doesn’t stop there. Local heartthrob James Reid followed with a set of groovy performances which had the crowd completely captivated. Who wouldn’t though, when he got up close to the crowd to make sure they all fall into his trance? Of course, with all these huge performances, the UAAP opening ceremony wouldn’t let itself be closed without a bang. K-Pop star and former 2NE1 member Minzy made her long-awaited and much-hyped comeback to the country as she took the center stage with explosive performances. She expresses the nostalgia she feels towards her return to the Philippines four years after 2NE1 held their last show in the country. In between performing her new single “Superwoman” and the 2NE1 hit “Come Back Home”, Minzy delighted the audience as she said, “I have great memories here in Manila! Mahal ko kayo!” She exits the stage with “I Am The Best” and an invitation to her fans for her meet and greet at SM North EDSA after the ceremony at 4 PM.